Supergirl enters the mind of a Kryptonian monster to stop a killer and goes on a suicide mission to restore sanity within the D.E.O! 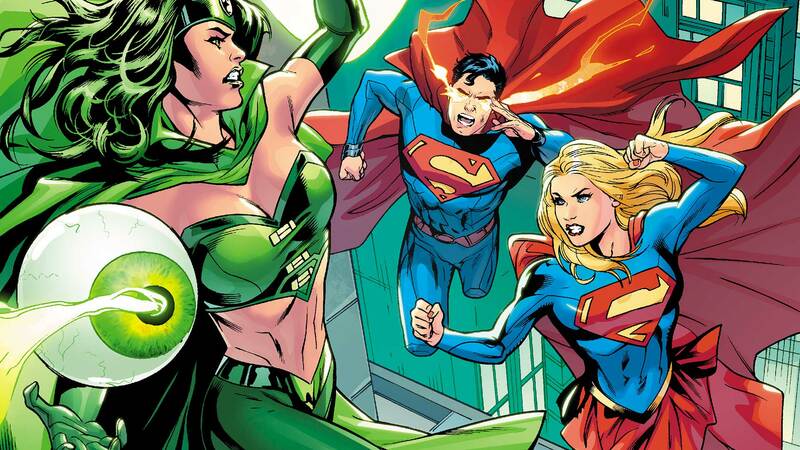 Plus, in the aftermath of “Superman Reborn,” Kara meets Superman again (for the first time) to face the evil of the Emerald Empress! And Supergirl is trapped in the Phantom Zone with Batgirl! Collects SUPERGIRL #7-11 and a story from BATGIRL ANNUAL #1.